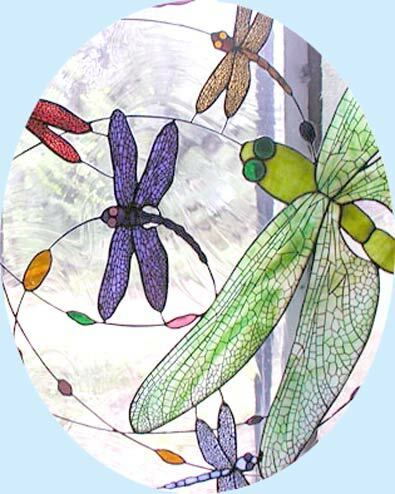 "DRAGONFLIES DANCE" STAINED GLASS WINDOW CUSTOM BY JACK McCOY©. 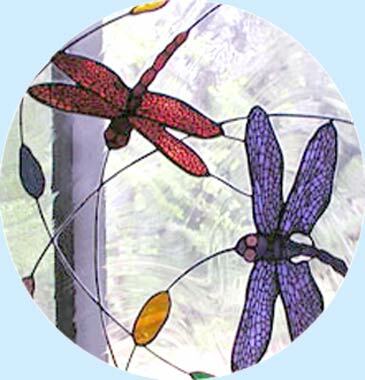 Custom stained glass dragonflies window designed and fabricated by Jack McCoy©. 32" Diameter. Copper foil construction. 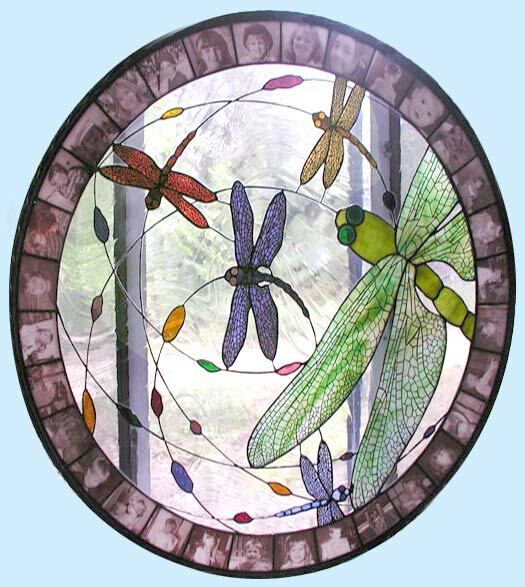 Swirling stained glass dragonflies dance with photo fused picture border (optional). You might choose a border of a color or clear textured stained glass. Jack made this window for a dear friend who retired after 30 years of teaching. The pictures are of children whose lives she has touched.